Please be kind. I’m new to this video making process and sound like I’m twelve. LOL A BIG shout out to my son (Alex) for helping me with the editing and composing the music. He rocks! Also, as you can see, the colors are bold. I did this because this is my happy place. 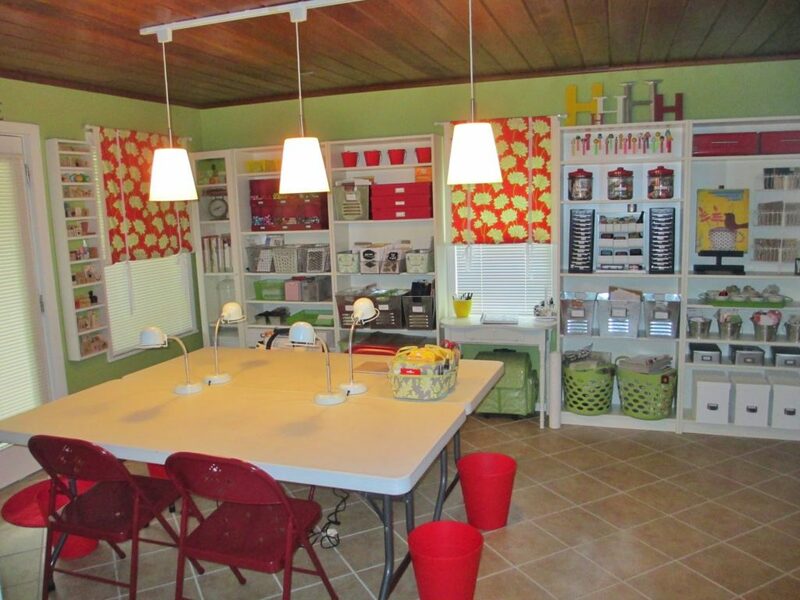 The rest of my home is more neutral colors and I wanted this space to be vibrant and energize me to be creative. 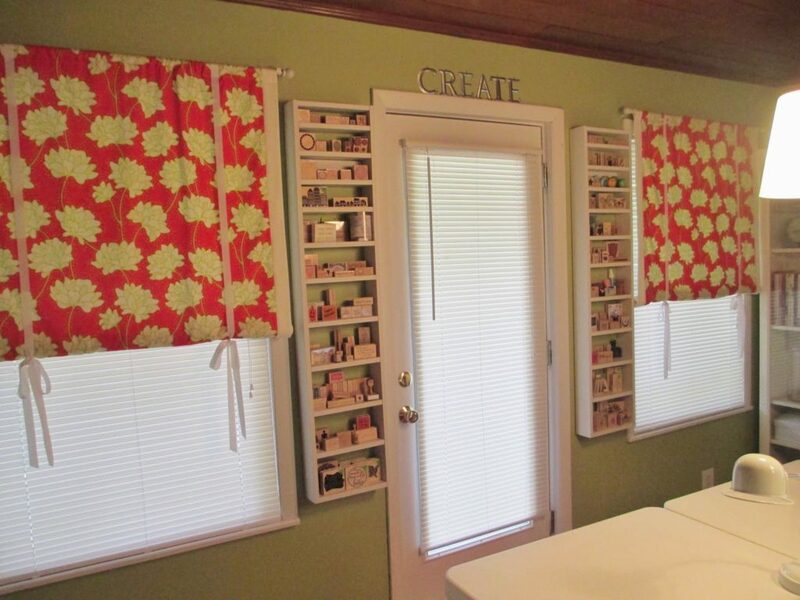 When you enter the room to the left, you will see this white cabinet (from Home Depot) and a gallery wall above that. 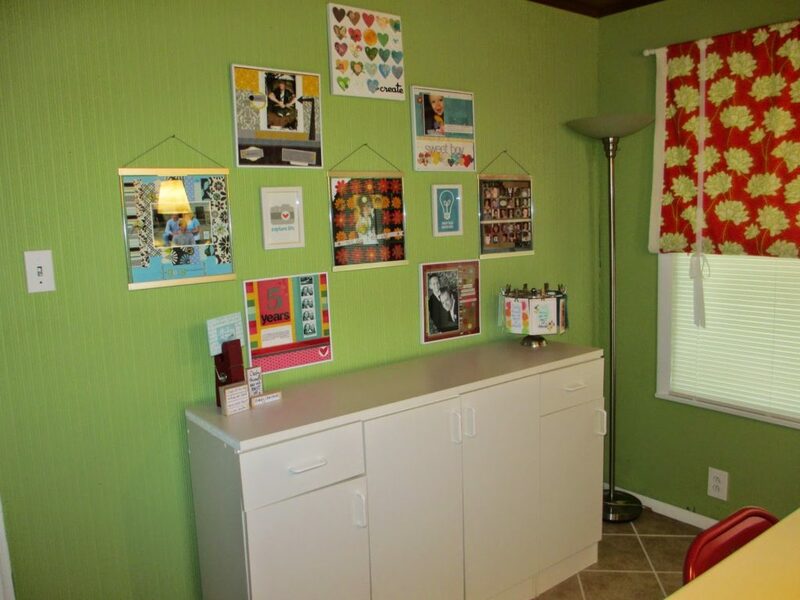 The gallery wall consists of a canvas that I created in a Jennifer McGuire class, some of my favorite layouts framed (frames from Kohls and Michaels), and two prints from Baby Bird and Bub Bub. On the top of the cabinet is an extra large clothespin (Michaels) that holds cards that I receive from friends. There are some stamps displayed around that which are new Hero Art stamps that will be coming out soon. These are specail to me because they are my handwriting. More about that HERE. To the right is a spinner (Pottery Barn) that holds cards from friends. They received the stamp I designed at a craft retreat and sent me cards using it. SO sweet. 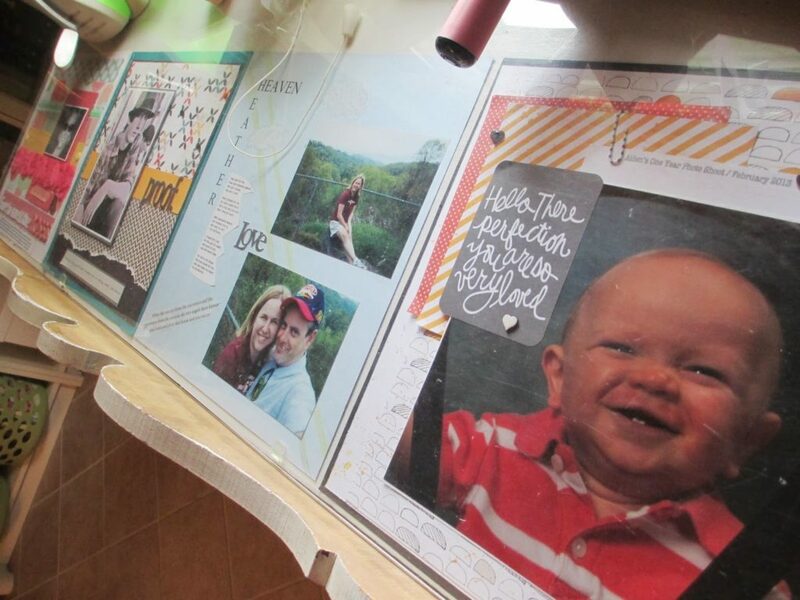 🙂 Inside the cabinet holds photographs, mini albums, the cards I create, and organizational items. Continuing on to the right….This wall has two large windows and a door. That door leads to the back covered porch, which is my favorite spot to retreat when I need to step away from a project for a few minutes. The curtains were made by my friend’s mom (who is a fantastic seamstress) and the fabric is from Heather Bailey many years ago. These shelves that mirror the door were made by my sweet hubby from some scrap wood he had laying around. 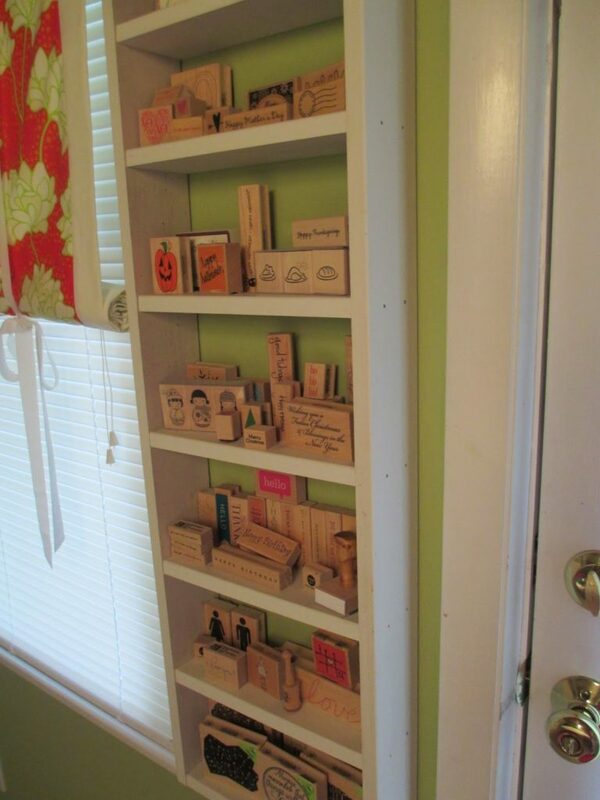 I organized all my wood block stamps on these shelves by theme. I like that it is open and I can see what I have at a glance. Next up is my wall of shelving. This is the wall you see when you enter the room. 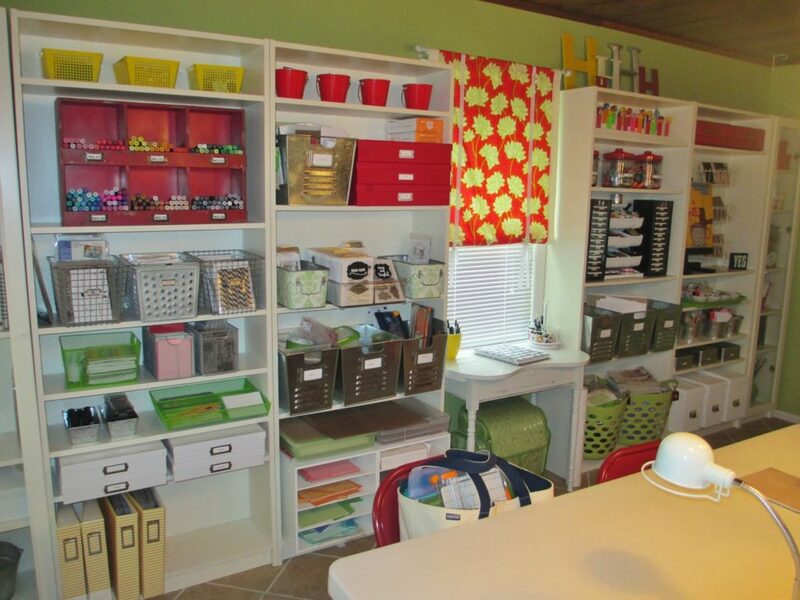 I got all of these shelves at Ikea.I was thrilled when I measured that wall because it only leaves inches on either side of the units, making them look like built-ins. 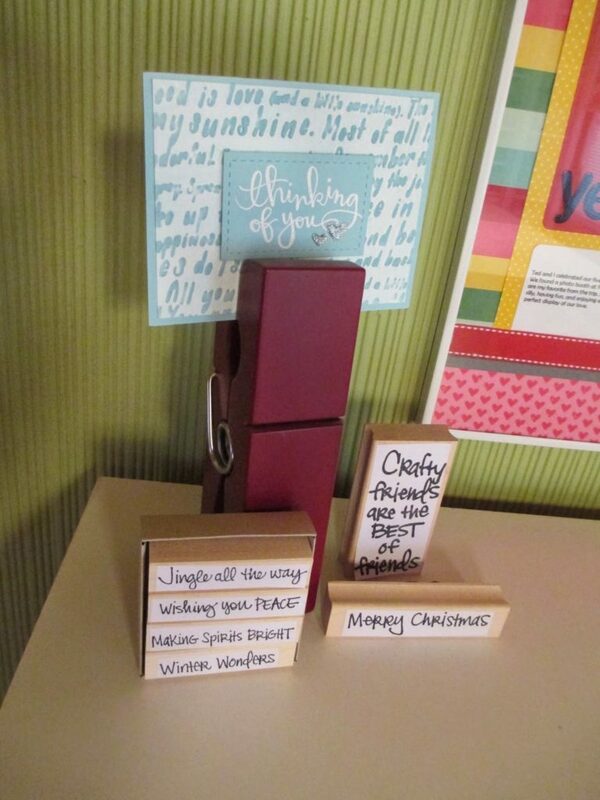 Starting from the top and working from left to right…..
–Love Notes Box..it holds all kinds of notes/cards from my hubby, kids, family, and friends. –Empty Large Glass Jar-is empty at the moment. 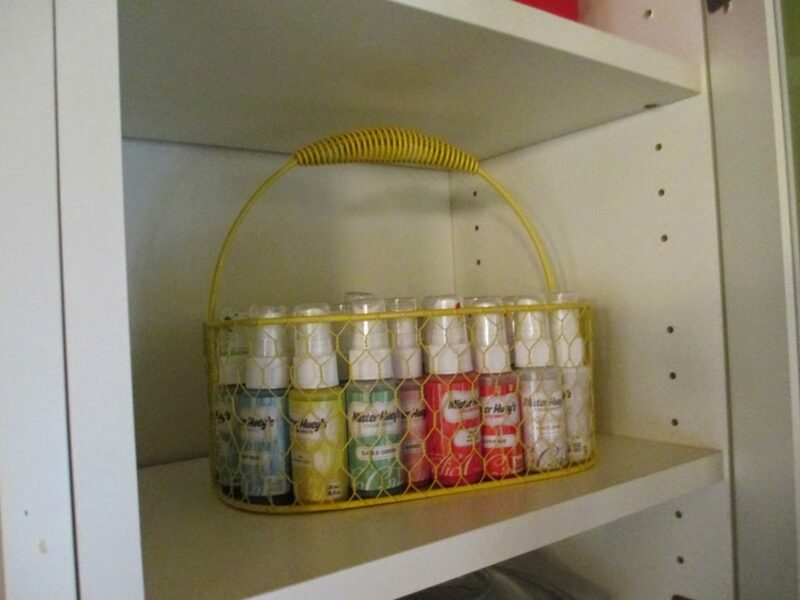 I like to keep some containers open so I have a home ready for new items coming in. –White Box (Micheals)-full of more love notes. 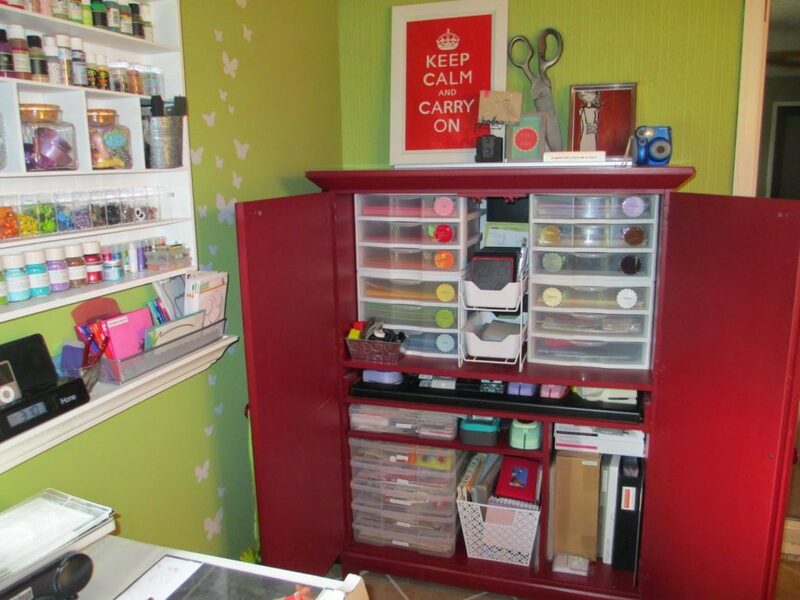 Next to the shelving unit is a small desk that holds a sketchbook (TJ Maxx), some markers, and a caddy (Target) filled with Glossy Accents, Stickles, and Perfect Pearls. Under the desk is where I store my rolling tote that I take on crops. 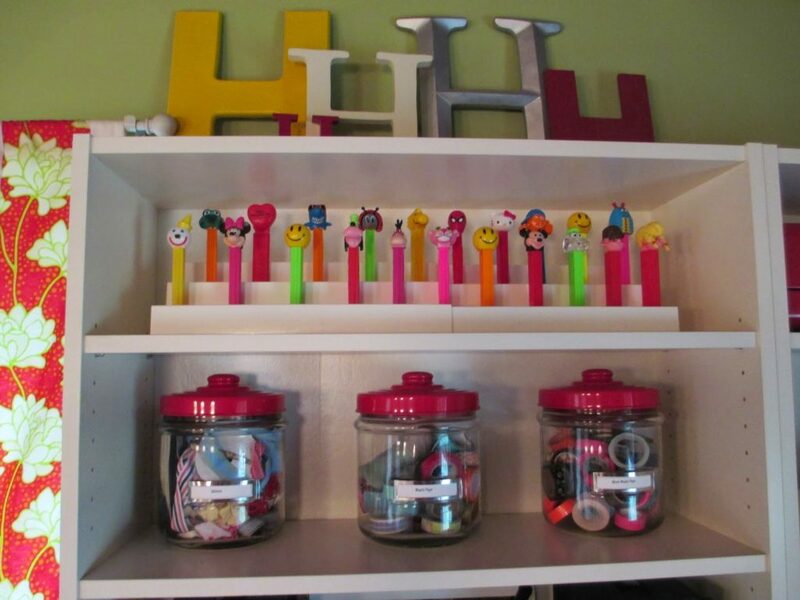 –Pez-seems odd but I’ve collected them for years and keep a small amount out on my shelf because they make me happy. I rotate them every so often. –YES plaque (Home Goods)- I’m a fan of Bethenny Frankel’s and I love her motto of coming from a place of yes. 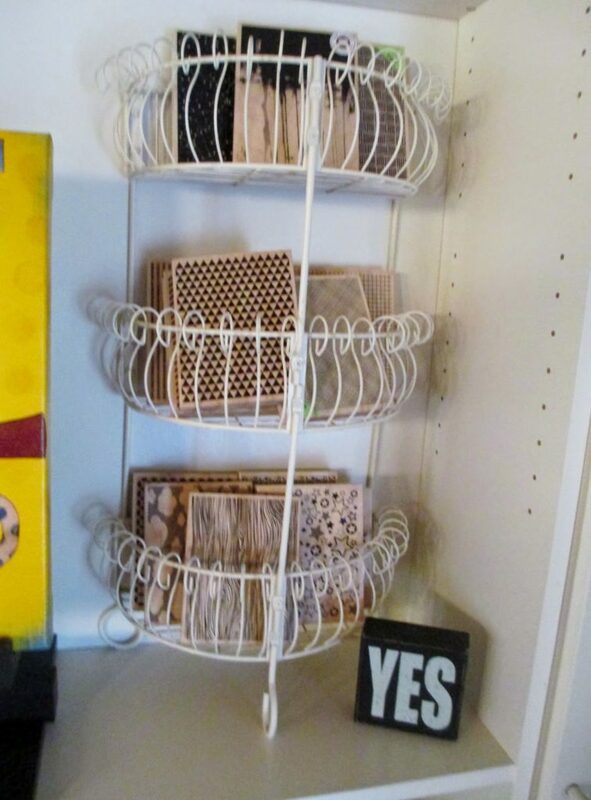 –Black Columns– these were from Sizzix and used to hold my dies but now it holds all my Hero ink. 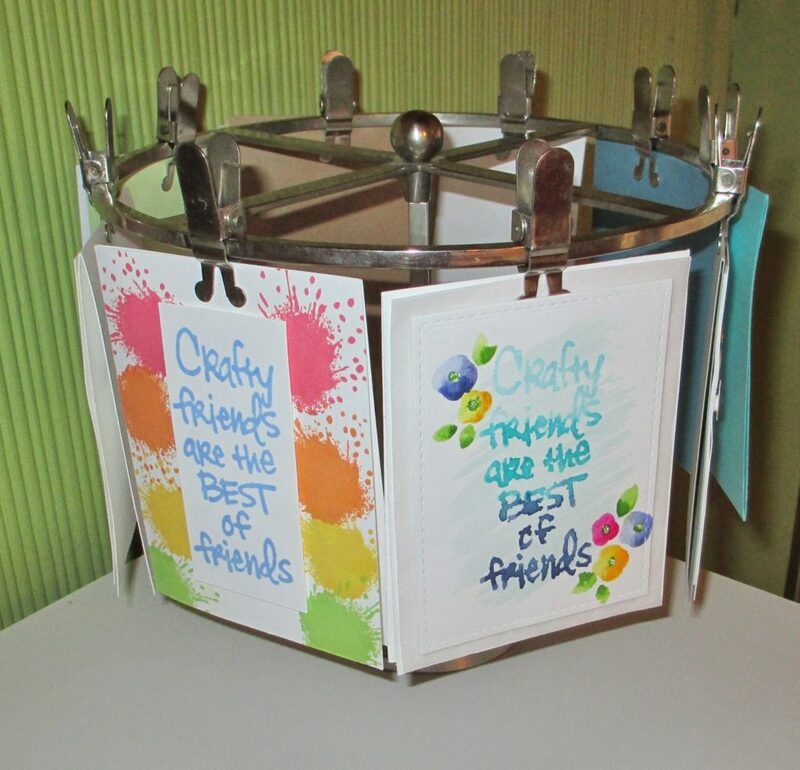 –Metal Buckets (Target)-holds journaling cards, tags, pockets, and frames/labels. 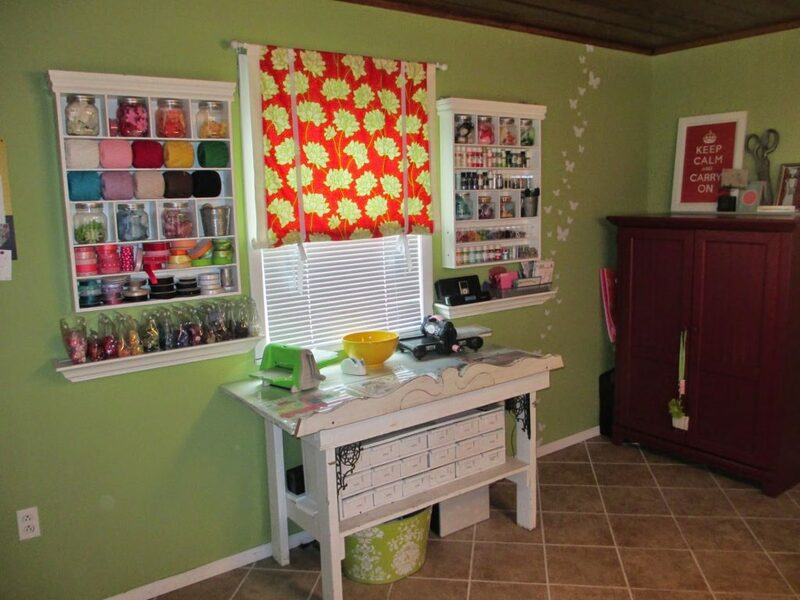 To the right of that are some vinyl butterfly decals on the wall I created with my die-cut machine. 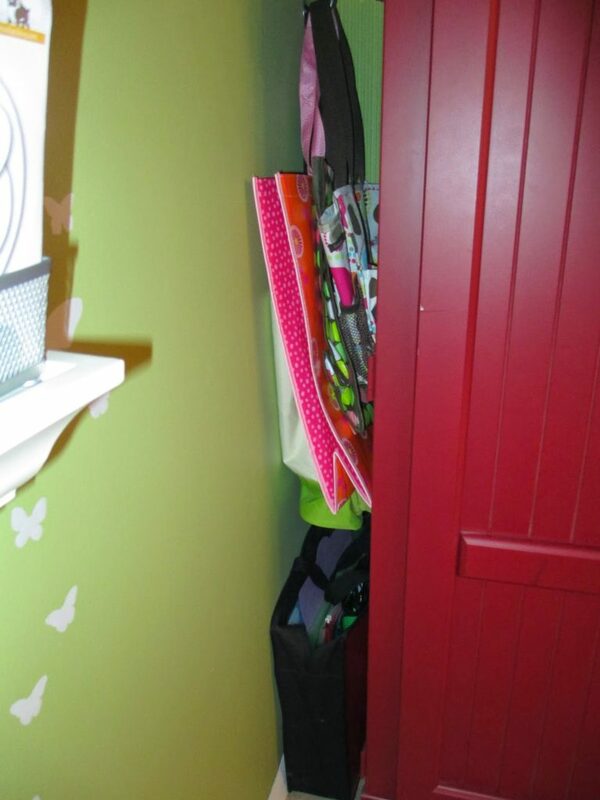 There is also a red cabinet that was meant for a computer but I made it into some crafty storage…. To wrap up the tour is the center of them room where my work station is…. 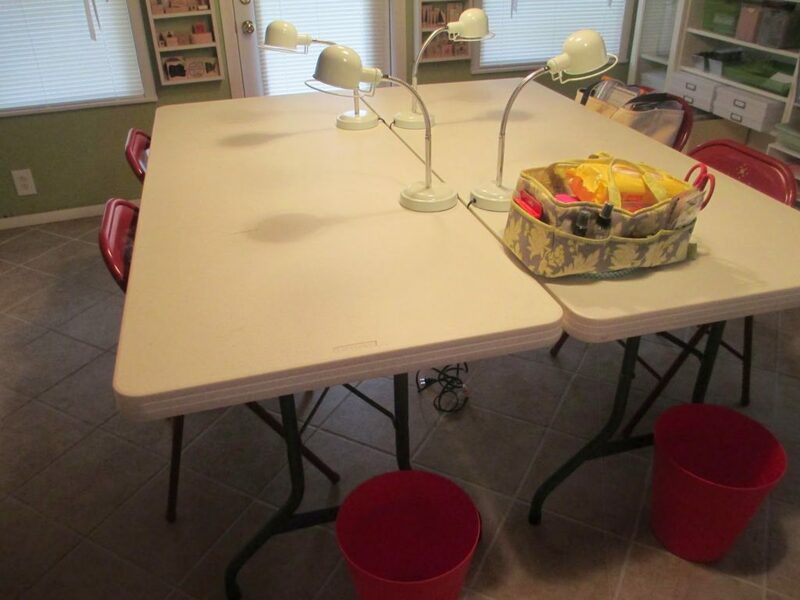 I would love to find a large, white dining room table to put here but for now these folding tables will do. I have it set up for four people. Everyone has their own light (JC Penney) and garbage can (Ikea) because I like having family and friends over. I also have my travel totes out filled with essential tools because I’m always on the go. I hope you enjoyed this tour of my creative space. Feel free to leave any questions or comments. I would love to hear from you. Thanks so much for stopping by! Quick teacher gift that won’t break the bank…. Such an amazing space to work in Heather, you are one lucky and very organized lady. Thanks for sharing:-)!! Love it Heather. Wish I lived close so we could create together. Accessibility, visibility and all accomplished by your saavy shopping. Your room is exactly what I am working for now in my own space. Bravo…just love it. 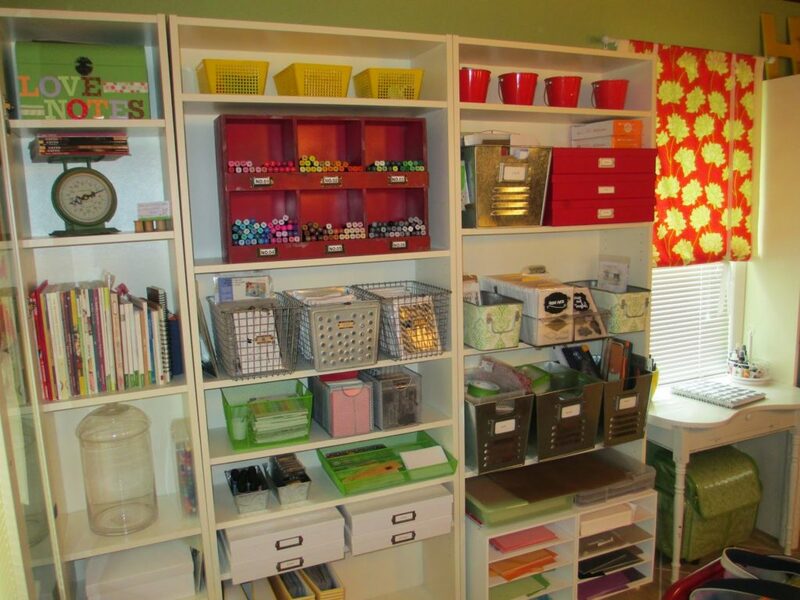 You are incredibly organized! I love how everything has a place in your room. What a happy happy place! I love the pops of red with the green walls. And those shelves that Ted built are perfect! Great job on your video! 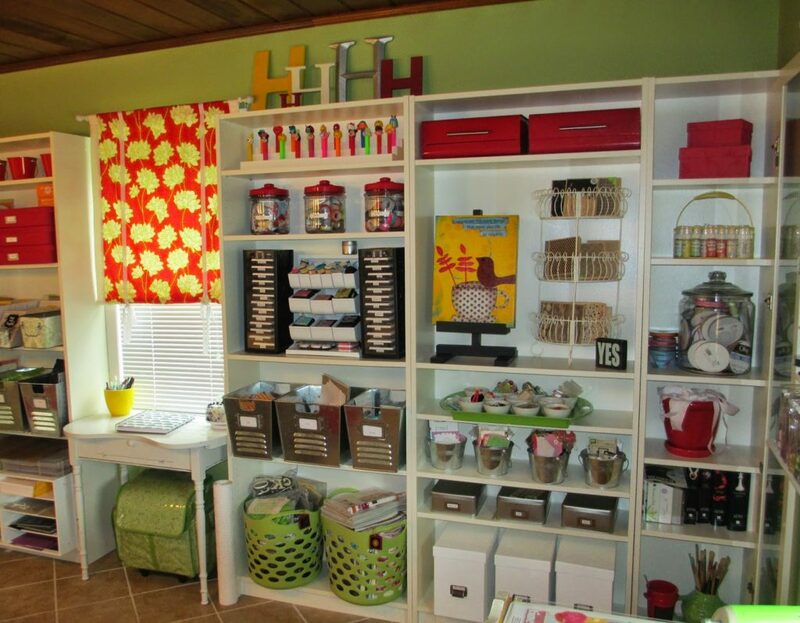 Love your crafty space!!! It's so bright and cheery!! !